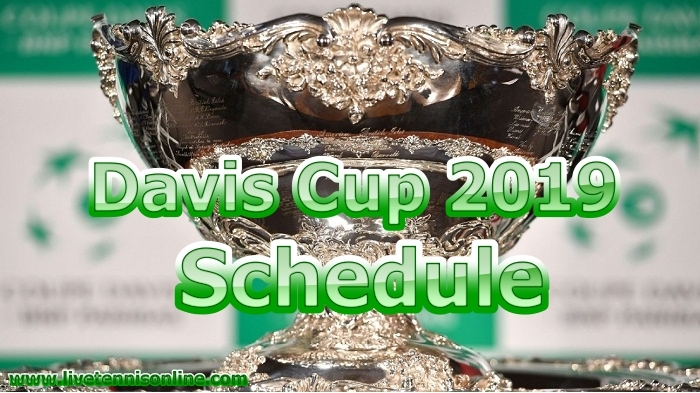 The ITF has declared the Davis Cup 2019 Tennis schedule which is sponsored by BNP Paribas. This year Davis Cup Tennis format will be altered. The major changes will occur in World Group because it will take place only one location in a week. The 18 teams alienated in 6 round-robin groups, each group consisting of three teams. The champion of groups and 2 top nations who have to secure the 2nd place will play in the quarterfinals. All teams will play two singles, and one doubles match, rather than the best-of-five series. Currently, World Group will take place as a single competition, and the event name is the Davis Cup Finals. In 2019 Davis Cup World Group finals 18 nations will participate, previous year four semi-finalist, two wild-card teams and 12 qualifying round champions of 2019. World Group Davis Cup Finals 2019 will be taking place from 18 November to 24 November 2019. The Davis Cup final will play on the hard court at Caja Magica in Madrid, Spain. Davis Cup qualifying round 1 start on 1st February to 2nd February 2019 and 24 nations will play for 12 spots in the Davis Cup Finals. The 12 losing teams will play in Zone Group competition 2019.